You might be surprised to know that in the 1980s Disney tried its hand at horror, family friendly, that is. It’s an unusual genre, and unfortunately you don’t find too many of them around. 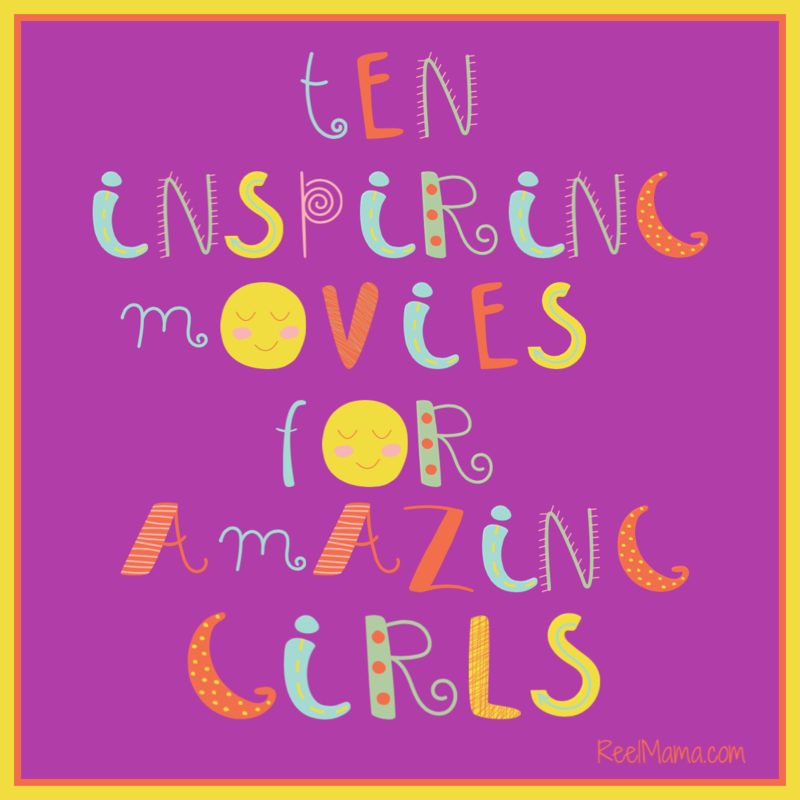 They make great slumber party movies, when you find a good one. 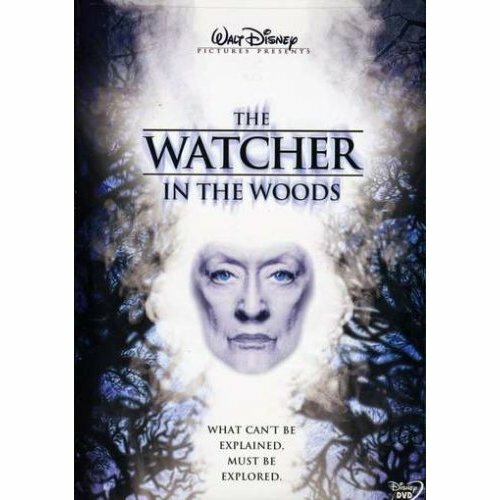 The Watcher in the Woods (1980), a hit at my slumber parties growing up, has all the right ingredients for a slumber party movie for 8- to 12-year-olds. The Curtis family is in the market for a new home, and the stately old English country mansion owned by the eccentric Mrs. Aylwood (Bette Davis) seems perfect. But oldest daughter Jan (Lynn-Holly Johnson) doesn’t like it, a feeling that’s compounded when Mrs. Aylwood confronts her and asks if she senses things. Jan confesses to her mom (Carroll Baker) later that she “had a funny, cold feeling out by the woods, like someone was watching me….Something awful happened here.” The realtor reveals that Mrs. Aylwood’s daughter disappeared under tragic circumstances when she was Jan’s age. But what happened remains a mystery, which deepens when a mirror cracks into a triangle shape as Jan examines her reflection, and the strange image of a blindfolded girl appears. Jan is seeing the missing girl, but how she disappeared, and why, aren’t clear. The wind, music, and lurking POV shots through the shadowy woods establish the strange presence engineering the action and conspire to raise the hair on your arms. The film builds an engaging mystery. It taps into kids’ fascination with the supernatural with a light tone of gothic horror without ever getting overly intense. In fact, the film’s strength lies in its power of suggestion. Even if it seems like the movie is trying too hard to give you the creeps, I have to say that there were moments when it worked on me all these years later, and it will for sure make kids of the right age jump, scream, and want to hide under the covers (again, perfect for a slumber party, right?). The film can seem a bit dated at times, but I don’t think this will distract from children’s enjoyment of the film. There are a few corny “creepy” revelations that might make parents roll their eyes but will give kids, especially the younger ones, goosebumps. Bette Davis found success later in her career playing creepy and often campy roles in films such as Whatever Happened to Baby Jane? Here, she offers a more restrained performance, and she brings the right balance of heartbreak of a grieving mother and a loopy, eccentric air derived from never knowing what happened to her daughter, and a belief that her spirit lurks in the woods beyond. Davis is the standout performance. The children are convincing, especially the younger daughter Ellie (played by Kyle Richards). Lynn-Holly Johnson as Jan isn’t stellar but her performance is just fine for this caliber of film. Adapted from the book by Florence Engall Randall. Screenplay by Brian Clemens, Rosemary Anne Sisson, and Harry Spalding. Directed by John Hough. Reel Mama’s rating: Appropriate for ages 8 and up. Plot elements such as the girl being blindfolded are unsettling, and there’s a brief mention that the young girl might have been murdered. There are several near misses in which the girls’ lives seem to be in danger, but the “watcher in the woods” protects them, including one scene in which a car on fire goes over a bridge. Some of these scenes may be too intense for younger than seven. There isn’t any profanity for parents to worry about. For a good laugh, check out the DVD’s alternate endings, if available. They are terrible in a wonderfully B-grade, campy way and clearly establish that Disney made the right choice with the current ending.